One of the most important parts of getting everyone to the wedding is announcing your wedding date, time, and location. Wedding invitations take a long time to make because you need to choose paper, calligraphy, color, and envelopes. Wouldn’t it be nice to have a complete timeline of when to send them out and ensure all of your guests get there on time? You’re so lucky you’re referring to The Wedding Salon because that’s what we’re going to give you on this Reception Thursday! Give all of your guests enough notice to make their travel plans, plan their outfits, and get to your wedding in enough time. When you’ve started researching your invitation design and planning your save the date cards, this is a good time to start creating your guest list. Making a list of everyone that you’re going to send your invitations to can help determine how much all of the paper supplies are going to cost and how much you need to order. This is also a time to determine how big or small you want your wedding to be. As you can see on the above timeline, you should send out your save the date cards at least one year in advance but this depends on what type of wedding you’re planning. If you’re planning a small and intimate wedding then 3 months in advance is a sufficient amount of time. A save the date card is just a quick note for people to be notified that you are engaged but not necessarily an invitation. These are primarily for your bridal party, mother, your new mother-in-law and your close friends and family but they should be alerted about your shower 3-4 weeks before the actual wedding shower– Not the wedding date. This again is for only your bridal party, close family, and close friends. Send these out right after the wedding invitations which is about 3-4 weeks before your wedding date. Then this can give you time to plan the rehearsal dinner and can RSVP quickly to confirm plans with the venue. Send your wedding invitations at least 4-8 weeks before the event and send them on a Saturday so they will arrive early in the week. You want guests to RSVP at least 3 weeks before the event and at a minimum 2 weeks in advance. 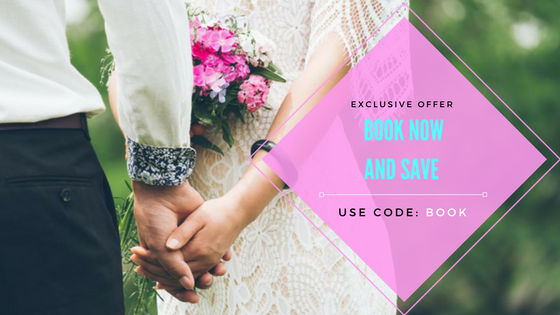 If you’re having a big wedding then you will want to send them out 8 weeks in advance because your venue will need to know who exactly is going to be there. If you’re planning a destination wedding then plan on sending those at least a year in advance. These can be sent a few days after your wedding or maybe even before your actual wedding day so guests can be promptly alerted that you’re happy they came. I hope this list can help you better organize your timeline for when to send out your invitations but also working with your designer or wedding planner can give you personalized advice about these issues.